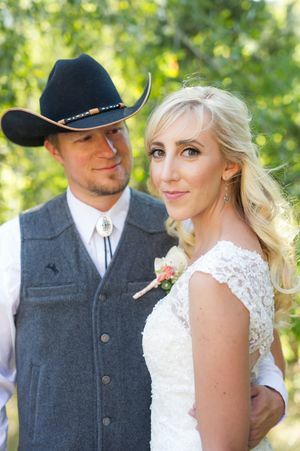 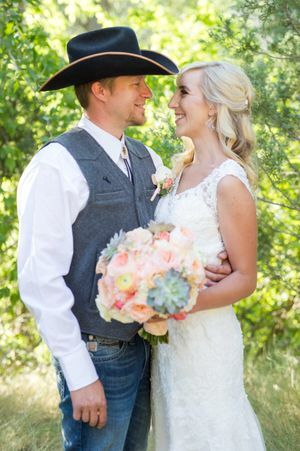 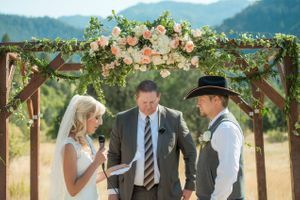 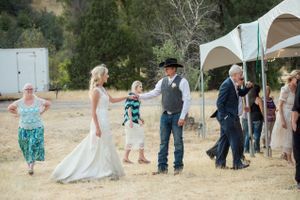 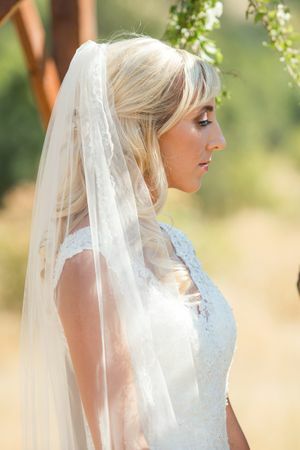 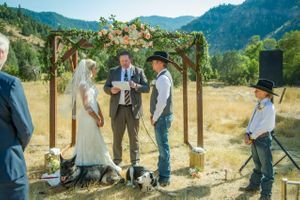 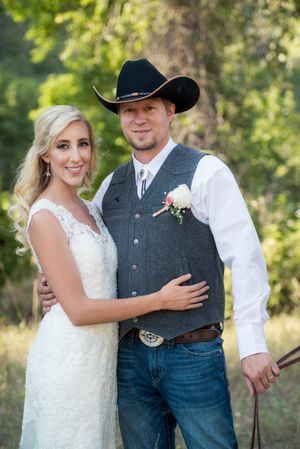 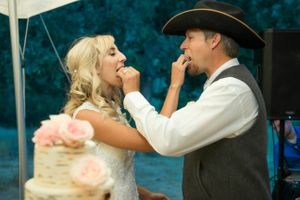 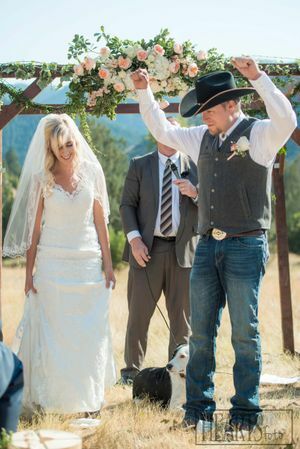 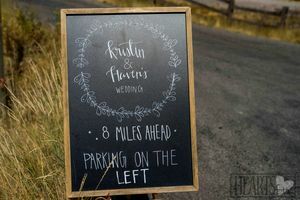 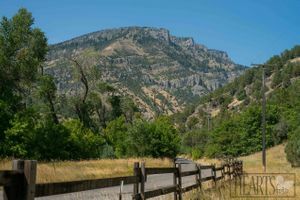 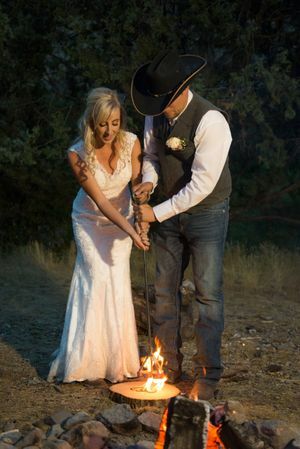 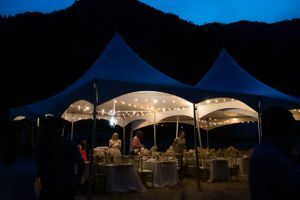 Kristin and Haven held their ceremony in a beautiful field nestled in the middle of Blacksmith Fork Canyon. 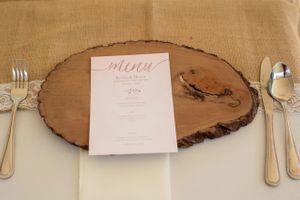 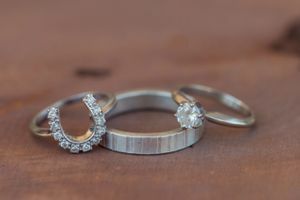 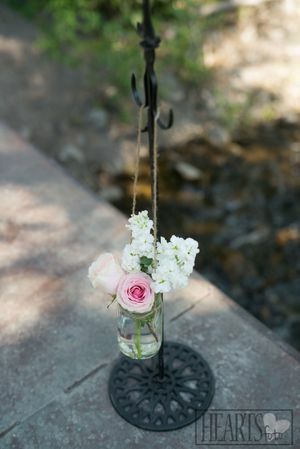 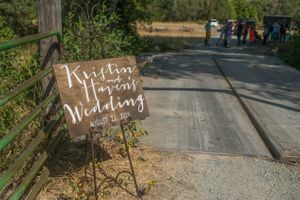 This was the perfect location to incorporate all the aspects of their classic rustic wedding. 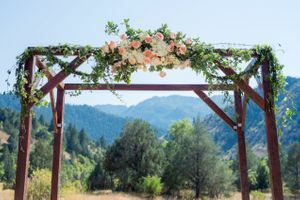 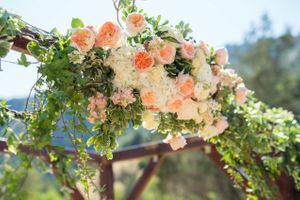 The couple shared their vows under a three dimensional arch, which was delicately draped with bunches of greenery and a lovely arrangement of vibrant pink flowers. 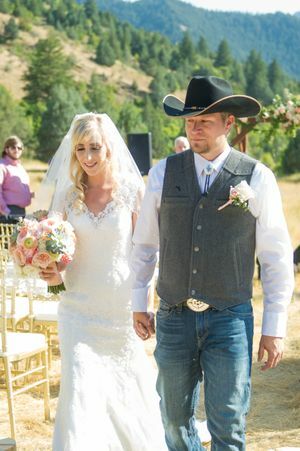 The majestic mountains served as a stunning backdrop as the couple began their lives together. 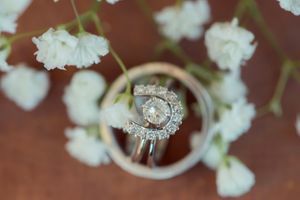 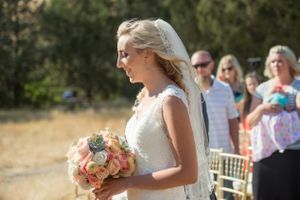 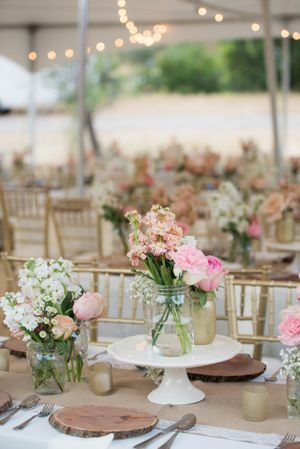 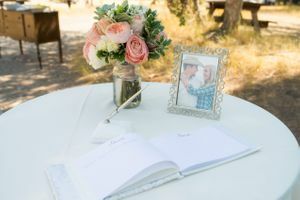 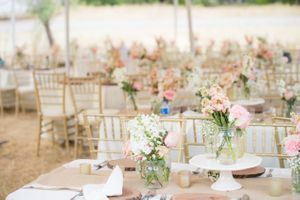 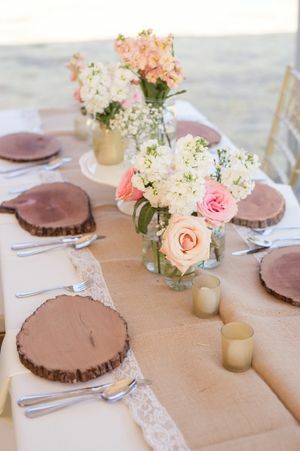 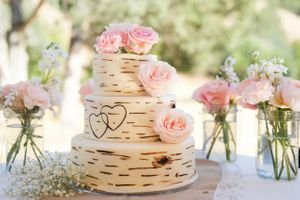 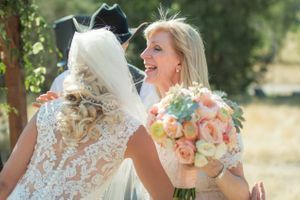 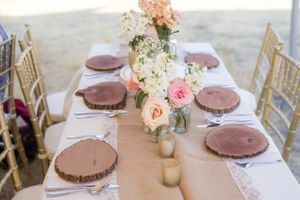 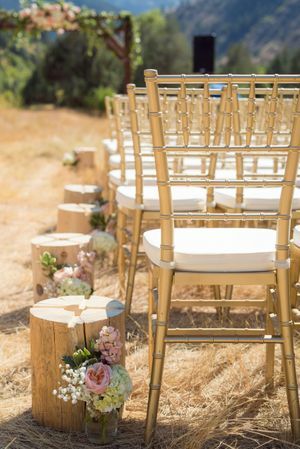 The aisle was lined with tailored wood logs and bunches of fresh flowers, complimenting the charming decor scattered throughout the reception. 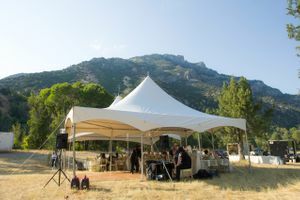 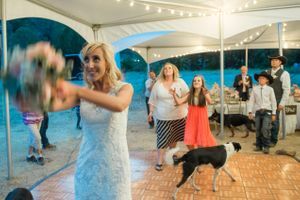 The couple and their guests spent the evening tucked in a cozy white tent, where they enjoyed food, dancing, and visiting under a canopy of glowing bistro lights. 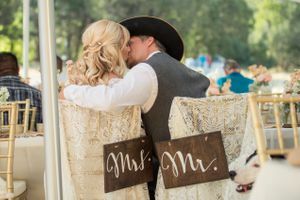 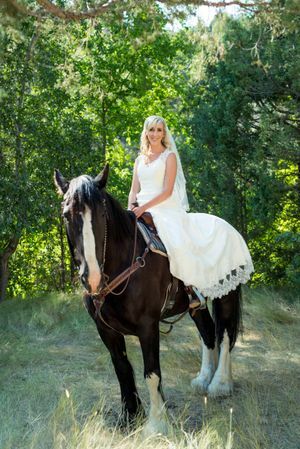 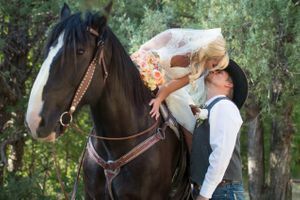 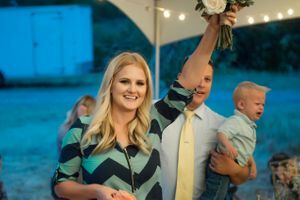 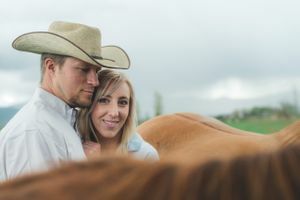 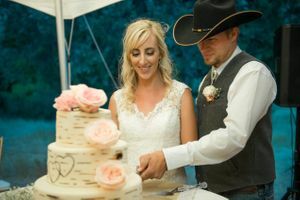 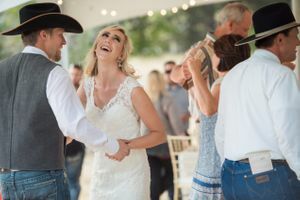 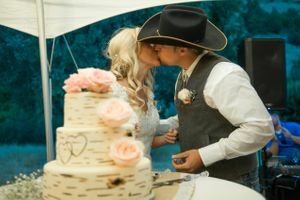 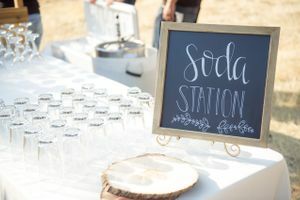 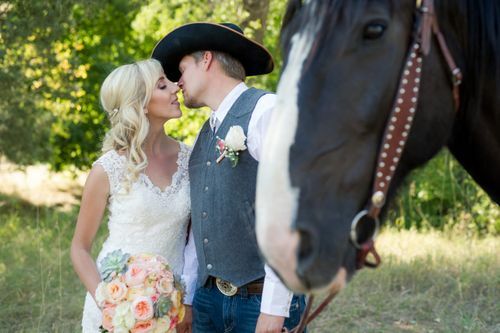 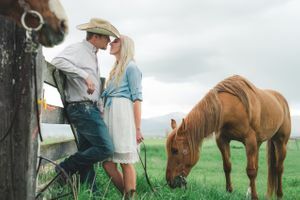 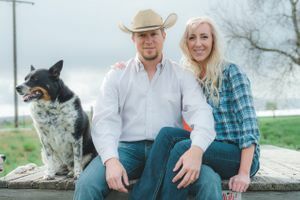 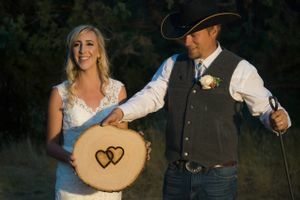 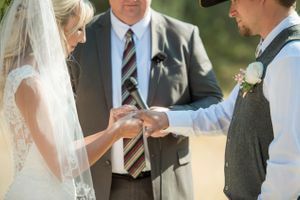 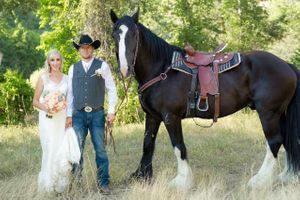 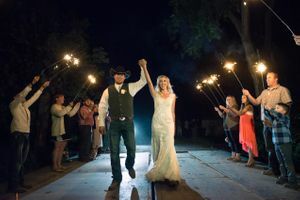 Kristin and Haven really made the night personal by bringing in their horses for pictures, and branding a wood charger for a lasting keepsake memory.